G. Michael's Bistro & Bar | A unique dining experience in Columbus serving up seasonal selections. The original Dine Originals Week is Back! G. Michael’s Bistro & Bar seasonal menus are inspired by the South’s “low-country” flair. Each dish is innovative with it’s unique ingredients and preparations. You and your guests will feel comfortable in our often described as “relaxed-upscale restaurant” atmosphere. It's like Restaurant Week, except we do it every Monday. Choose from 2-3 options for every course... every Monday! 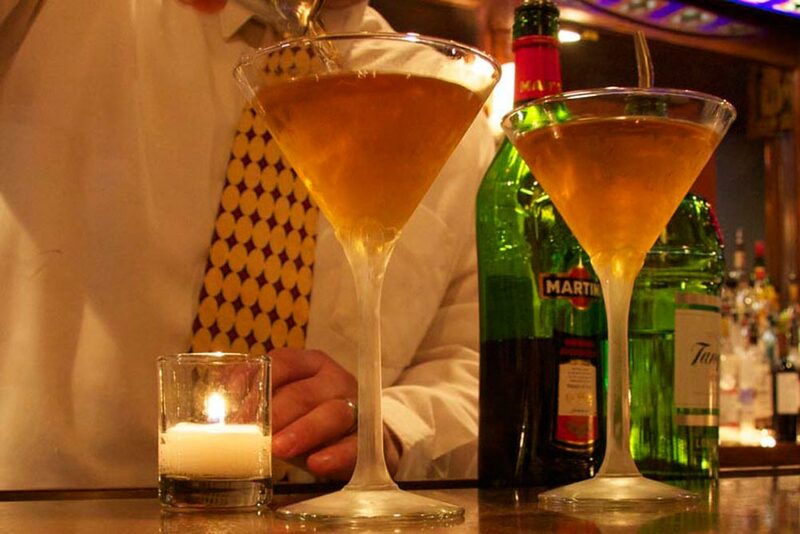 Considered by many to be the Best Happy Hour in Columbus! Specials on draft beer, cocktails, wine pours and small plates. Stay up-to-date with the latest events, menus and specials at G. Michaels! It only takes a few seconds to receive updates and other great information. 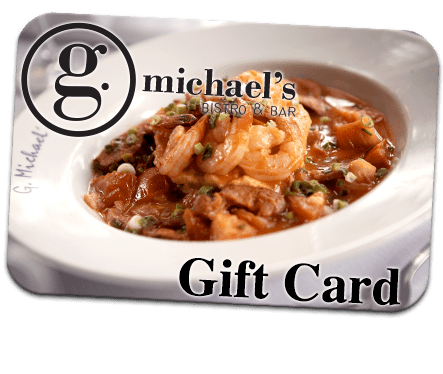 e-Gift Cards Instagifts are instantly available gift cards redeemable at G. Michael’s. Print them, E-mail them as gifts, or redeem them from your mobile phone. Mail a Gift Card The perfect gift for any food lover. This Gift Card can be mailed to you or your recipient. Your Gift Card is placed inside a G. Michael’s branded envelope. Bar opens everyday at 4:30 p.m. and remains open one hour after the kitchen closes. Monday5 p.m. to 9:30 p.m.
Tuesday5 p.m. to 9:30 p.m.
Wednesday5 p.m. to 9:30 p.m.
Thursday5 p.m. to 9:30 p.m.
Saturday5 p.m. to 11 p.m.
Sunday5 p.m. to 9 p.m.
Monday4:30 p.m. to 7 p.m.
Tuesday4:30 p.m. to 7 p.m.
Wednesday4:30 p.m. to 7 p.m.
Thursday4:30 p.m. to 7 p.m.
Friday 4:30 p.m. to 7 p.m.
Sunday4:30 p.m. to 9 p.m.
Coming for dinner and wondering about parking? We are pleased to offer a Valet Service during restaurant hours, along with the option of on-street parking. 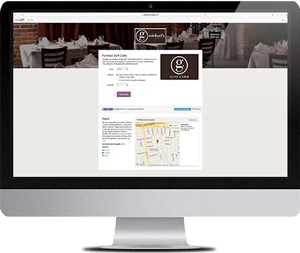 *If outside business hours, please use OpenTable for reservations.